Monthly phone calls to plan for the December 11 full in person ISMICC meeting, working on promoting involvement of non-federal members in contributing to the implementation workgroups, and planning how to measure and report on overall ISMICC progress. Working with the Crisis Workgroup on the recommendation to implement LOCUS and CALOCUS as standard tools for level of care assessment nationwide. Recommending inclusion of SMI and SED populations in the surveillance priorities of CDC. National Council for Community Behavioral Healthcare: ZiaPartners is an Affiliate Member of National Council, and Dr. Minkoff is a member of the Medical Director’s Institute. Dr. Minkoff represented Zia at the National Council fall meeting on October 22. This resulted in a further discussion of how National Council aligns with ISMICC recommendations, as well as how ZiaPartners will participate in the NATCON 2019 conference in Nashville March 24-27. Institute on Psychiatric Services, Chicago, IL: Oct 3-6. ZiaPartners attended this conference, and provided 4 presentations, attendance at the American Association of Community Psychiatrists Board Meeting, and attendance at the National Council Medical Directors Institute. The presentations included one on ISMICC, one on how to publish in Psychiatric Services (where Dr. Minkoff is a column editor for the High Value Care column), a symposium on the Group for the Advancement of Psychiatry Committee on Psychiatry and the Community publication: People with Mental Illness in the Criminal Justice System, Answering a Cry for Help, Dr. Minkoff is committee co-chair, and a presentation with Dr. Margie Balfour on ideal crisis system development. Dr. Minkoff is Chair of the Product and Services Plan for AACP. The Plank is working on several Clinical Tips, including Medication Assisted Treatment for opioid use disorder, and a guidance document for Utilization Management. Working with Coby Chase and Michelle Harper to organize the events related to children, youth, and early intervention services during the Meadows Mental Health Policy Institute’s visit to London for the Global Mental Health Summit in early October (See Below). Working with LDWW on the development of materials for the next phase of Okay to Say: (Okay to Share; Okay to Care). One Mind Conference, Staglin Family Vineyards, Napa, Ca (September 12-15): Dr. Minkoff and Dr. Cline, along with Dr. Andy Keller (MMHPI CEO) represented MMHPI at this series of events. The Staglin Family has raised millions for brain research and other initiatives and this event brings together policy makers and scientists to develop major change efforts. There were events focused on creating an international movement for workplace mental health, as well as an international strategy for brain health research. For more information about One Mind, click here. Global Summit for Mental Health Culture Change, London, England (October 7-11): Minkoff and Dr. Cline were part of the MMHPI leadership team that attended this event, where Dr. Keller was a panelist. They helped to organize visits and events that allowed for collaboration with and learning from expertise in the UK, with particular regard to early intervention services for psychosis. For more information on the Global Summit, click here. Engage and Excel, Houston, TX (October 23-25): Minkoff and Dr. Cline presented and facilitated at this third annual statewide event that they helped to create and design. The event brings together people working on BH systems change from local communities and state entities all over TX to engage in a partnership for how to excel in their systems back home. Dr. Minkoff and Dr. Cline presented with Houston provider leaders on implementing integrated services for individuals with co-occurring mental health/substance use disorders. For more information on Engage and Excel, click here. Reviewing strategies for improving revenue generation, third party billing, and documentation, that may result in an increase of over $100,000 of collections in this fiscal year. Tennessee Co-occurring Strategic Initiative: Begun implementation of a series of webinars to engage new participants in the statewide co-occurring capability development process, particularly SUD programs working with criminal justice. Mid-Hudson (NY) Region Co-occurring Initiative: Dr. Minkoff has continued detailed planning, organizing the November events, which so far includes a conference on November 13 for co-occurring capability implementation teams from all seven counties in the region, and individual county meetings with Westchester and Putnam on November 14. Common Ground: Continued consultation to assist in the development of improved capacity for Common Ground to deliver the highest possible quality comprehensive crisis service array in Oakland County, Michigan. In July the focus of activity was to work with Common Ground on completion of a response to an RFP to develop a comprehensive continuum of crisis services in Detroit-Wayne County, Proposal interview was conducted in September, but unfortunately the RFP was withdrawn in October. Iowa East Central Region: ZiaPartners initiated a consultation activity with the MHDS East Central Region (including 9 counties with three regional hubs in Cedar Rapids, Iowa City, and Dubuque). This has involved a specific focus on working with the Dubuque hub to plan their network of Access Center services. In addition, ZiaPartners has subcontracted with Brenda Jackson to assist all the regions with how to strategize on their relationship with Iowa Medicaid. Solano County, CA: Dr. Minkoff gave a very well received presentation on September 20 in Fairfield, CA at the Solano County Recovery Day event to help launch a county initiative on integrating mental health/substance use disorder. Silver Hill Hospital – ZiaPartners has contracted with Silver Hill (located in New Canaan, CT) to provide assistance with continuing implementation of the transformational recommendations from our April visit, to implement a collaborative culture to facilitate admissions, transitions, and staff engagement. The first on site visit in this phase of the work occurred on September 26-27 and resulted in increased buy in from across the hospital, and specific next step activities to translate the general recommendations into a variety of improvement projects, some of which were launched immediately. Improvement activities focused on creating a more welcoming experience for patients, families, and referents, and involve collaboration between Access, Marketing, and Treatment units. College for Behavioral Health Leadership – As a Board member, Dr. Minkoff has been contributing to launching a new set of CBHL activities that will allow the organization to operate on a much bigger scale and will attract resources for the development of materials to “make leaders better” across multiple sectors and boundaries within the universe of behavioral health service delivery. Dr. Minkoff participated in the CBHL Board meeting on September 25, at which a new strategy was decided, and will be working on helping to seek funding to support the “big new vision” for the organization. SAMHSA – Dr. Minkoff was asked by SAMHSA to coordinate a day long panel meeting on Co-occurring Serious Mental Illness and Opioid Use Disorders on August 23. The forum incorporated input from NASMHPD, NACBHDDD, National Council, CCBHCs, CMHCs, and various BH provider disciplines, including peers. The objective was to identify what is known about how to help individuals with serious mental illness/opioid use disorders and how to implement what we know more systematically across the nation. There was follow up planning in September, and there will be a report prepared on the results of the panel. Developing a plan for assigning non-federal ISMICC members to each of the five ISMICC workgroups, as well as to maximize non-federal member and other stakeholder engagement in the process within the limits of the Federal Advisory Committee Act (FACA). Contributing input to the Data and Quality Workgroup on quality standards, and contributing to the non-federal ISMICC member input into a draft set of standards proposed by the National Quality Forum (NQF). Participating with Sam Shore on the HHSC-MMHPI workgroup on SUD services, focusing on data accuracy and policy recommendations for sober living and expansion of Opioid Use Disorder services. Working with Susan Fordice and Sam Shore to develop the SUD track for the third annual MMHPI Engage and Excel Conference (Houston, Oct 23-25) (engageandexcel.org). Dr. Minkoff and Dr. Cline will be presenting on developing universal co-occurring capability. Contributing to MMHPI’s public input on HHSC’s redrafted Medicaid policy on SUD treatment. Consulted to the intake team on a process for improving welcoming access through the intake process. Discussed the process of conceptualization of CALM programs as a continuum of services based on individual, family, and community need, rather than as distinct service components driven by funding requirements. Vermont Co-operative for Practice Improvement and Innovation (VCPI): Dr. Minkoff has been working with the VCPI leadership team to develop a working leadership and operations structure for VCPI. Recovery to Practice: On August 6, Dr. Minkoff participated in the final teleconference for the RTP Advisory Committee (Task 4) hosted by Advocates for Human Potential, to discuss project successes and recommendations for continuation of the work following project conclusion in September. Mid-Hudson (NY) Region Co-occurring Initiative: Dr. Minkoff has been working on organizing the November events, which so far includes a conference on November 13 for co-occurring capability implementation teams from all seven counties in the region, and individual county meetings with Westchester and Putnam on November 14. Other counties may schedule individual meetings as well. Common Ground: Continued consultation to assist in the development of improved capacity for Common Ground to deliver the highest possible quality comprehensive crisis service array in Oakland County, Michigan. In July the focus of activity was to work with Common Ground on completion of a response to an RFP to develop a comprehensive continuum of crisis services in Detroit-Wayne County, and in August to prepare for a proposal interview. Iowa East Central Region: ZiaPartners initiated a consultation activity with the MHDS East Central Region (including 9 counties with three regional hubs in Cedar Rapids, Iowa City, and Dubuque). This evolved into a project helping all the MHDS regions in Iowa respond to new proposed rules for required intensive core services based on recent legislation. Dr. Minkoff attended the MHDS Commission hearing regarding those regulations on July 19, and then worked with all the regions and a few other stakeholders to write suggested revisions of the proposed rules and regulations on behalf of the regions. These were submitted to the regions on August 30 and are due to MHDS on September 4. The suggested revisions address in detail the relationship between the state, the MCOs, the regions and the providers, moving toward a collaborative design and away from the implication of an unfunded mandate. There is also detailed language regarding the design of the crisis continuum, including Access Centers, crisis residential programs, continuing crisis intervention services, and so on. Language addressing multi-occurring conditions (MH, SUD, IDD, BI) was modified and improved. Solano County, CA: ZiaPartners began a conversation with Solano County (in central CA, based in Fairfield) behavioral health services in July about how to help with their movement to developing a systemwide integration of MH and SUD services. 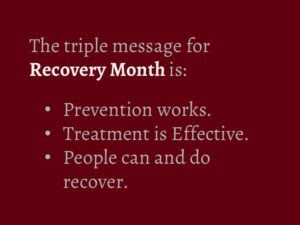 The next step in this process will be a presentation given by Dr. Minkoff on September 20 at the Solano County Recovery Day event. 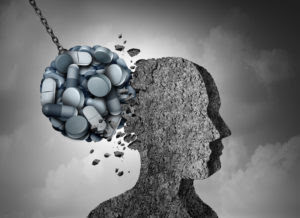 SAMHSA – Dr. Minkoff was asked by SAMHSA to coordinate a day-long panel meeting on Co-occurring Serious Mental Illness and Opioid Use Disorders on August 23. The forum incorporated input from NASMHPD, NACBHDDD, National Council, CCBHCs, CMHCs, and various Behavioral Health provider disciplines, including peers. The objective was to identify what is known about how to help individuals with SMI/OUD and how to implement what we know more systematically across the nation. There will be a report prepared on the results of the panel, and the content of this report will be referred to the relevant ISMICC workgroup (which is co-chaired by Justine Larson, MD, Medical Director for the Center of Mental Health Services, who was one of the SAMHSA conveners of the panel, along with Tison Thomas, who is one of SAMHSA’s experts on co-occurring disorders and oversees the MH Block Grant.). Dr. Minkoff attended the first official ISMICC meeting of 2018, held in Washington, DC on June 8. (Opening Remarks of the ISMICC meeting) The ISMICC report released in December 2017 is a foundation for much of SAMHSA’s ongoing efforts and has been very successful in engaging not only cooperation but enthusiasm from other federal departments. This meeting included a very supportive introduction from newly appointed Health and Human Services Secretary Alex Azar, and then focused entirely on practical discussions of implementation efforts. ISMICC members heard reports from each of the five interdepartmental implementation workgroups and were able to provide feedback and input. In addition, there was a highly engaged discussion about the importance of collecting up to date epidemiologic data about the population of people with serious mental illness/serious emotional disturbance, using updated and consistent definitions, and attending to co-morbidity. Going forward, the non-federal ISMICC members will have the opportunity to participate in continuing activities of the workgroups, as well as in periodic topic meetings, and will also be able to work collaboratively to engage partners in the implementation process at the state/tribe and local level nationwide. These are important steps of progress in a multi-year process that has the potential to transform the national delivery system for adults and children with severe mental health and substance use issues. Finalizing the Houston Endowment substance use disorders System report that is due in July. Participating with Sam Shore on the HHSC-MMHPI workgroup on substance use disorders services, focusing on data accuracy and policy recommendations. Working with Susan Fordice and Sam Shore to develop the substance use disorders track for the third annual MMHPI Engage and Excel Conference (Houston, Oct 23-25) (engageandexcel.org). Dr. Minkoff and Dr. Cline will be presenting on developing universal co-occurring capability. CALM: ZiaPartners (Drs. Cline and Minkoff) provided continuing teleconference support to CALM to help with organizing next steps, with a focus on developing guidance materials to help CALM leadership conceptualize the implementation of a QI Action Team with front line staff partners. Tennessee Co-occurring Strategic Initiative: On June 6-7, Dr. Minkoff provided the second of three regional 2-day TA sessions, and on June 20-21, the third of those sessions, to support the work of individual provider organizations to make progress toward co-occurring capability in Tennessee. These regional events were held in Memphis and Knoxville, to engage both mental health centers and addiction provider organizations in west and east Tennessee. The agencies that attended each had individual meetings with Dr. Minkoff to focus on the results of their COMPASS-EZ self-assessments and how to utilize those to develop achievable and meaningful action plans to improve co-occurring capability within their current services and resources. (Tennessee Co-Occurring Strategic Initiative). There was a follow-up conversation with leadership of the Substance Abuse Division at the Tennesse Department of Mental Health and Substance Abuse Services to discuss how the division could best engage new providers from the criminal justice system in making progress toward C0-Occurring Disorder Capability, as well as how to support the few remaining community Substance Use Disorder providers who had not yet started to make progress. Common Ground: Continued consultation to assist in the development of improved capacity for Common Ground to deliver the highest possible quality comprehensive crisis service array in Oakland County, Michigan. In June the focus of activity was to work with Common Ground on the preparation of a response to an RFP to develop a comprehensive continuum of crisis services in Detroit-Wayne County. Mid-Hudson (NY) Region Co-occurring Initiative: Dr. Minkoff provided a COMPASS-EZ training teleconference on June 19 with representatives of the project teams from the seven counties (Dutchess, Orange, Putnam, Rockland, Sullivan, Ulster, Westchester) participating in this regional project. This project was described in more detail in the May notes. The next on-site activity for this project will be in November 2018. Iowa East Central Region: ZiaPartners initiated a consultation activity with the MHDS East Central Region (including 9 counties with three regional hubs in Cedar Rapids, Iowa City, and Dubuque). The focus of the consultation, which builds on the relationships developed during ZiaPartners five-year consultation statewide on universal development of multi-occurring capable services within emerging regional systems of care, is to help the region with the implementation of various core services for individuals with complex needs. The earliest challenges involve responding to new regulations about Access Centers and working with the various local hubs about implementation strategies. Meadows Mental Health Policy Institute: Continued work on finalizing the Houston Endowment substance use disorder System Report and helping to develop MAT TA capacity for Texas. Dr. Minkoff gathering information for the report on the new naltrexone pilot implemented in the Harris County jail, which is an excellent innovation. Dr. Minkoff and Dr. Cline continue to participate in the HHSC-MMHPI workgroup on substance use disorder policy. On April 11, Dr. Minkoff and Dr. Cline joined Coby Chase and LDWW to meet with Bring Change to Mind leadership in San Francisco, as part of MMHPI’s efforts to seek collaborators for the next phase of its highly successful Okay to Say anti-stigma campaign. Dr. Minkoff and Dr. Cline are contributing content to help develop tools for families and loved ones to provide more effective help and support. NATCON 2018 (April 22-25): Dr. Minkoff and Dr. Cline made four major presentations (averaging 100 attendees each). The topics included: Implementing an Ideal Crisis System (this is connected to one of the important ISMICC recommendations and the GAP project -see below); Practical Strategies for Implementation of Medication Assisted Treatment; Implementation of Integrated Systems and Services for Individuals with Co-occurring Disorders in the Criminal Justice System, a general overview of principles and practices, and then a hands-on practicum session co-delivered with Judge Steven Leifman. The latter presentations incorporated material from the GAP Report which Dr. Minkoff co-chaired: People with Mental Illness in the Criminal Justice System: Answering a Cry for Help (2106). Dr. Minkoff attended his first meeting as a member of the national Council Medical Director’s Institute and reported to the group on the ISMICC Recommendations and how they could be helpful partners in supporting implementation efforts. CALM: Continued telephone consultation to assist with the major implementation areas within the consultation, including improving revenue, addressing documentation challenges, improving the overall organization’s ability to provide a clinical management, training, quality improvement, and supervision structure that reinforces clinical care and values, and addressing the need for better program budgeting to align staff capacity and service expectations. Vermont Co-operative for Practice Improvement and Innovation (VCPI): VCPI has made a decision to go forward with Northern Vermont University as a new parent partner. The process of transition is proceeding smoothly. There is planning underway for a new federal grant to support improvement in health and behavioral health integration and trauma-informed care. Tennessee Co-occurring Strategic Initiative: Planning for 6 days of on-site training, consultation, and technical assistance during May and June. Group for the Advancement of Psychiatry: On April 12-14, Dr. Minkoff attended the GAP meeting, and co-chaired, with Dr. Jackie Feldman, the Committee on Psychiatry and the Community, continuing work on the project of identifying the specific criteria that define a model crisis system for any community. This work in progress was presented at NATCON, and elicited great interest and energy from many in the audience who are directly attempting to address this issue in their home communities. Silver Hill Psychiatric Hospital: On April 26, Dr. Minkoff and Dr. Cline conducted an on-site consultation at Silver Hill to assist the whole organization addressing the improvement of its admission processes and internal collaborations to align with organizational mission and values of customer service and staff well-being. This exciting project resulted from an invitation from our colleague Dr. John Santopietro (from AACP, GAP, and NATCON Medical Director’s Institute), who is the relatively new CEO at Silver Hill, and is bringing a wealth of positive energy to the organization with his leadership. Interdepartmental Serious Mental Illness Coordinating Committee: Numerous telephone conferences to discuss how best to implement the ISMICC recommendations. This culminated in an interdepartmental meeting coordinated by SAMHSA on March 28, where over 50 representatives of multiple federal departments came to organize implementation efforts, along with 4 of the 14 non-federal ISMICC members, including Dr. Minkoff (along with David Covington, Elena Kravitz, and Conni Wells). SAMHSA’s leadership (Assistant Secretary McKance-Katz) made it clear that the ISMICC report is a foundation for much of SAMHSA’s ongoing efforts and has been very successful in engaging not only cooperation but enthusiasm from other federal departments. The attendees gathered into five workgroups, based on the major areas in which the ISMICC recommendations were organized, and developed initial work plans for those recommendations, with input from the non-federal members. This is the first important step in a multi-year process that has the potential to transform the national delivery system for adults and children with severe mental health and substance use issues. Meadows Mental Health Policy Institute: Dr. Minkoff was on site on March 1 to meet with community representatives to discuss an initial outline of recommendations for the Houston substance use disorders system. The work on the Houston Endowment report is proving invaluable in providing important data on the current system that can result in state and local models for significant improvement in substance use disorder services of all types, with a particular focus on the opioid epidemic. Dr. Minkoff and Dr. Cline continue to participate in the HHSC-MMHPI workgroup on substance use disorder policy. Ballad: A final round of on-site visits on March 6-7, along with meetings with the Ballad Behavioral Health Steering Committee to discuss and refine the 11 major themes identified by the TriWest-Zia team to recommend for Ballad’s investment in behavioral health services per its cooperative agreements with Virginia and Tennessee to support the approval of the merger. Based on the successful response to the initial themes, the consultation team worked throughout March to provide an initial 121-page report to guide Ballad’s initial 3 years of implementation, which was accepted by Ballad as the final deliverable for the project. CALM: Continued telephone consultation to support initial efforts of various quality improvement teams, as well as to help the executive team transition to developing more solid administrative, financial, and HR processes to strengthen the organization and provide a foundation for developing a more solid “trauma-informed” organizational culture as well as improve service delivery capacity. Vermont Co-operative for Practice Improvement and Innovation (VCPI): Dr. Minkoff has worked with the VCPI leadership to assist in planning for the transition of VCPI from SNHU to a new “parent organization” as well as in helping the maturation of the organization’s leadership and decision making structures and processes. VCPI continues to grow and has recently acquired resources to support several new statewide projects. SAMHSA: As a non-federal ISMICC member, and a psychiatrist, Dr. Minkoff was invited to a meeting convened by SAMHSA on March 12 to develop a partnership between SAMHSA and the leadership of the Association of Psychiatric Department Chairs. One of the key topics of this meeting was how departments of psychiatry can be implementation collaborators in the areas of both training and service delivery, at both the national and state levels, to make progress on the ISMICC recommendations. Tennessee Co-occurring Strategic Initiative: Dr. Minkoff provided a webinar on co-occurring supervision and competency development to the Middle Tennessee regional Co-occurring disorders learning community on March 21.